With a fast heat up time of 30 seconds, you’ll be on your way to creating voluminous, tousled waves in no time. With Remington’s intelligent OPTIheat technology, heat is delivered to where it’s needed the most, by channeling heat to the thicker sections at the top of your hair and diverting from where it can be most damaging. 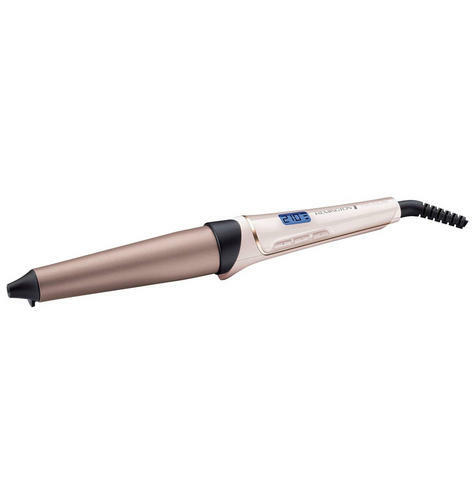 With the PROluxe Curling Wand, you can say hello to frustration free-styling. The curling wand’s barrel comes covered in a unique grip-tech coating that adds a light resistance and friction, but works to stop snagging or catching hair. This slip-less coating is the perfect styling addition, especially for those who may struggle creating consistent curls and misshaped ends. 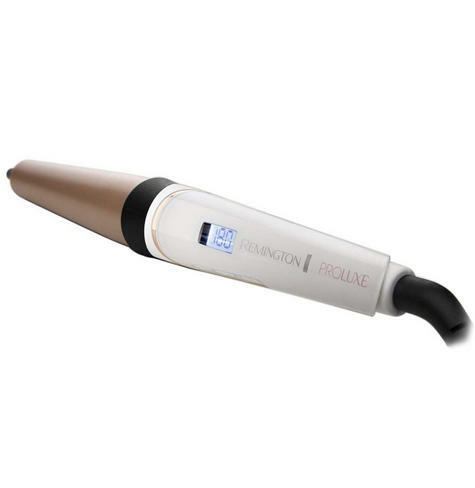 You can rely on the PROluxe Curling Wand to have your best hair interests at heart, especially when it comes to maintaining healthy looking locks. By using the specially designed PRO+ setting, the wand’s temperature is automatically set at a responsible 185°C. That means you can curl more often without any of the heat damage guilt. 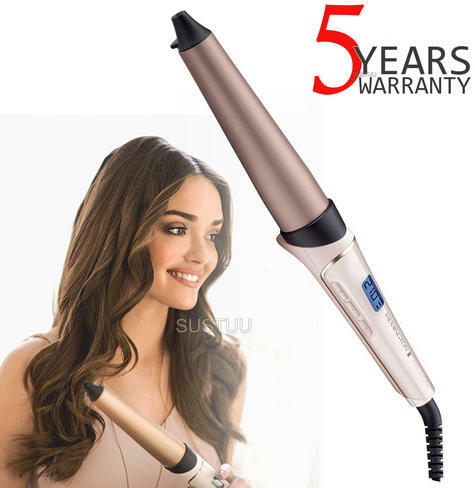 The PROluxe curling wand will add a little luxury to your everyday, and leave you with beautiful curls that last from day to night, so you can kiss wilted curls goodbye.